A two-day capacity building workshop on climate finance tools has been attended by the personnel of the Energy and Environment Division of the Cyprus Federation of Employers & Industrialists (OEB). 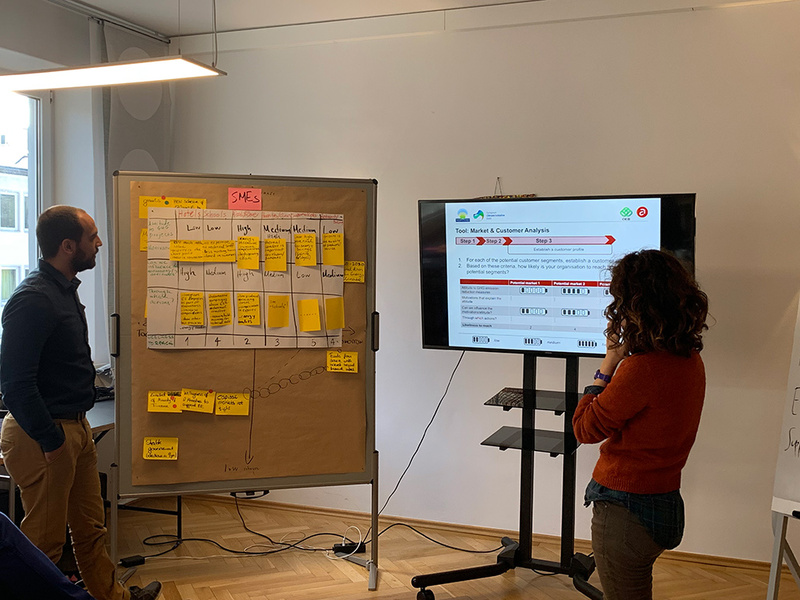 The workshop was held in Munich, Germany, and hosted by German adelphi Research, in the framework of implementation of the Business4Climate + project, which participate OEB and the German adelphi Research, and is funded by EUKI. From OEB, the Head of the Energy and Environment Service, Anthi Charalambous and the Officers Christia Alexandrou and Panagiotis Kastanias, participated in the workshop. 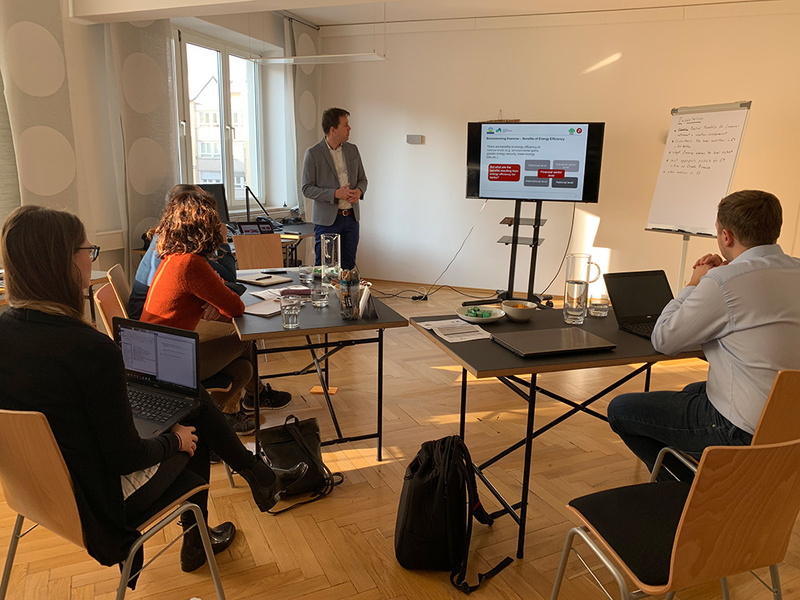 From adelphi Research was attended by Andreas Schneller, Project Manager, Kathrin Kirsch, Research Analyst and Rainer Agster, Director of Private Sector Cooperation who was also the trainer of the two-day workshop. 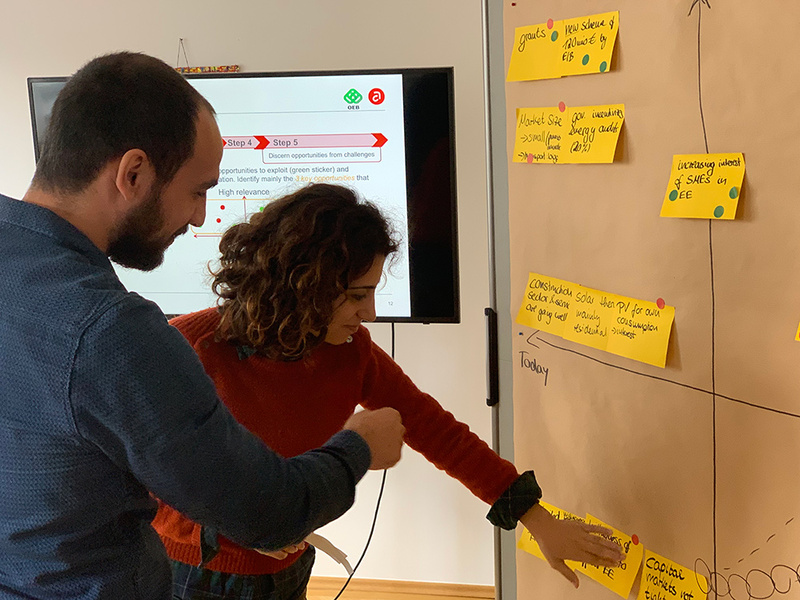 The training involved the presentation and implementation of a toolbox with original methods and techniques for the development of financial tools and incentives for enterprises to implement energy efficiency projects and projects that contribute generally to tackling climate change. The methodology was developed by adelphi Research and addresses two stakeholder groups: banking institutions to develop financial tools / loans to businesses and government departments / services to develop support schemes and financial incentives. The aim of the tools is to improve the knowledge and especially the skills of the staff of banking institutions and government departments in developing appropriate financing tools and plans, taking into account the specificities of energy efficiency projects, the political, social and economic situation in force to meet the needs of businesses from different sectors of economic activity. Executives from banking institutions and the public sector of Cyprus will have the opportunity to participate in a similar Skills Development workshop that will be held in Nicosia in early April and will be organised by OEB and adelphi Research. More information will be announced shortly.